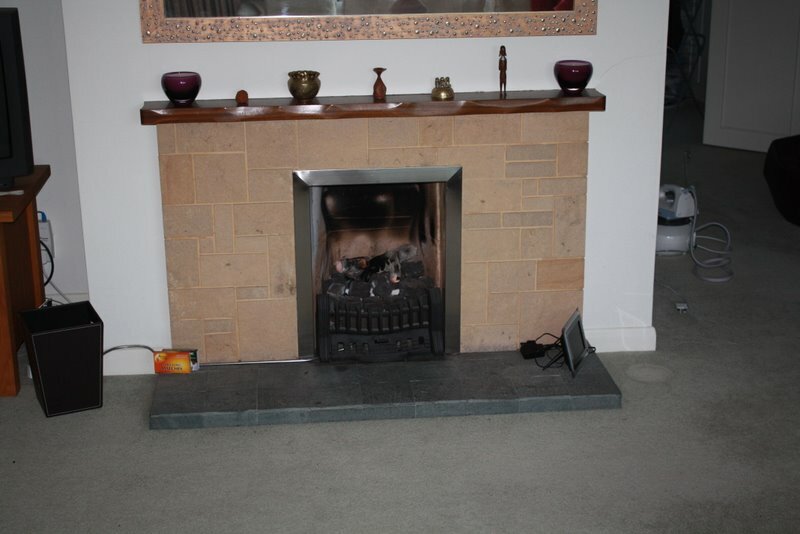 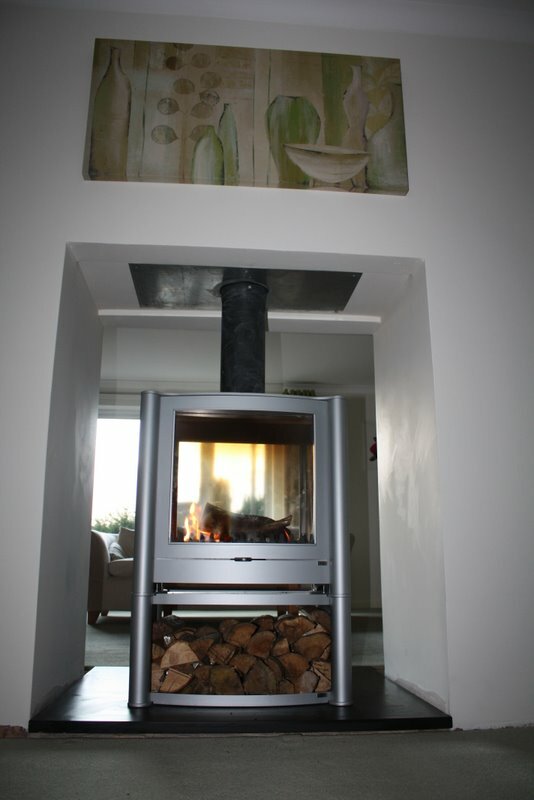 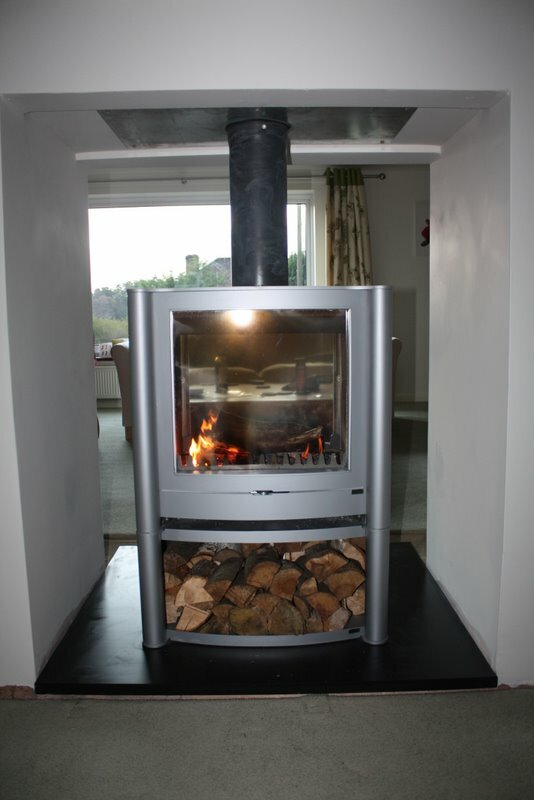 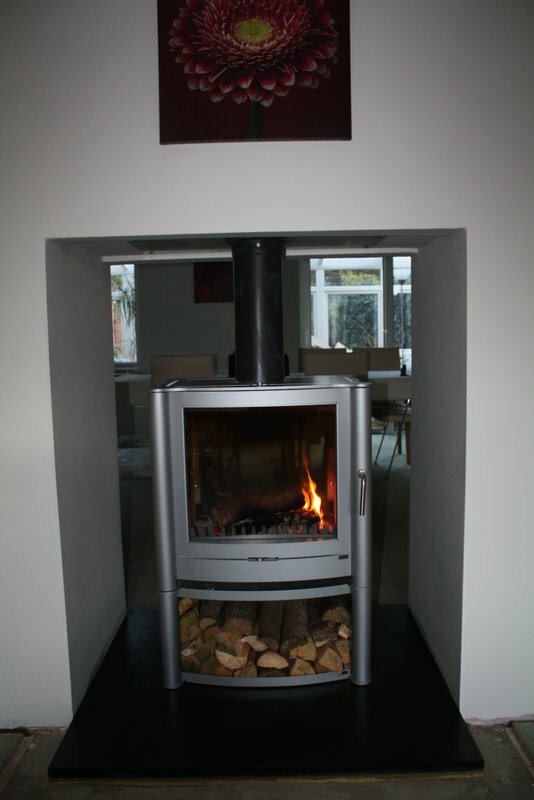 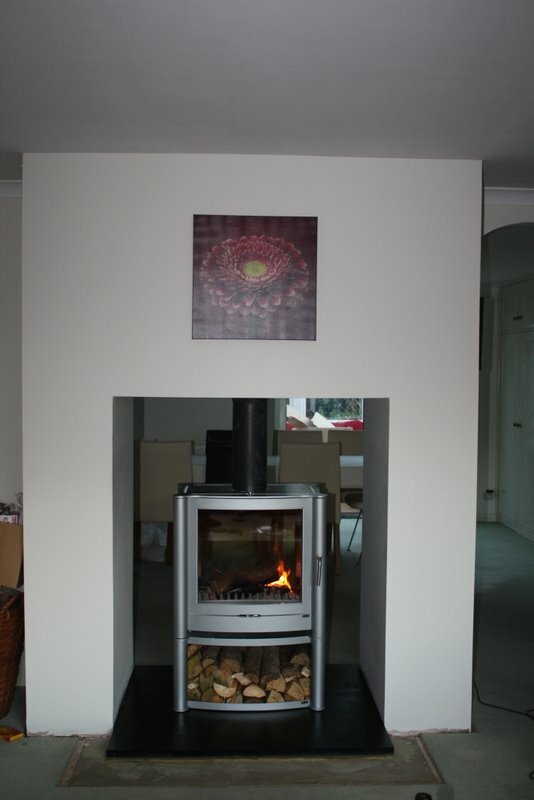 This installation of a Firebelly FB2 double sided stove took place in a property in Haslemere, Surrey. 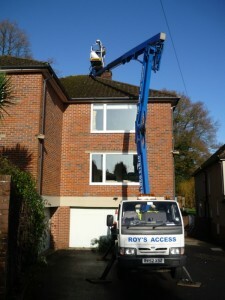 The client knew exactly what they were after and we were more than happy to manage the project from start to finish. 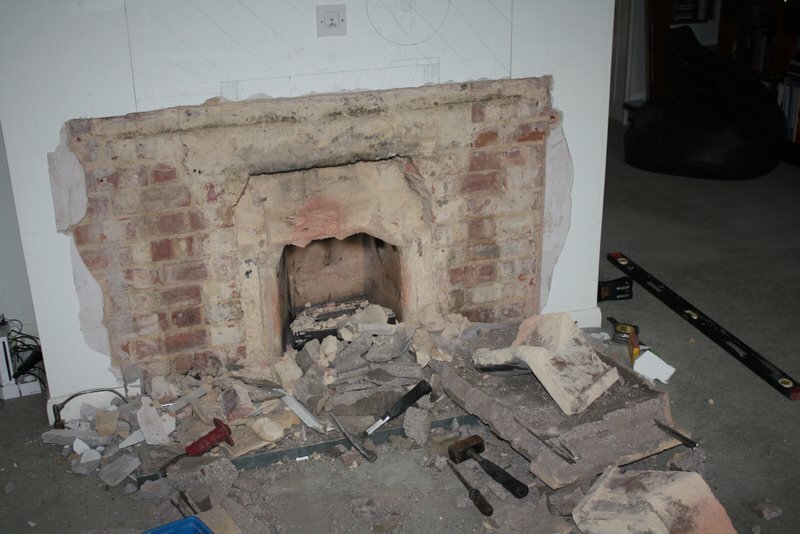 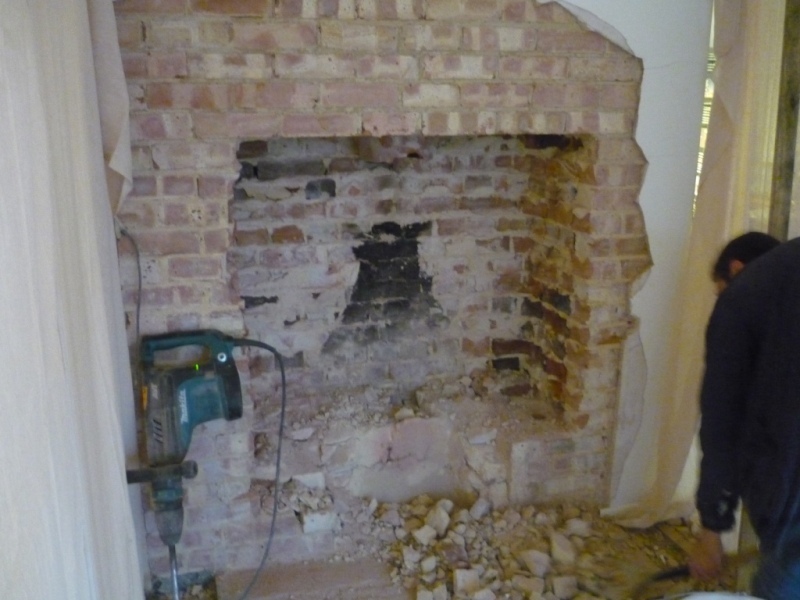 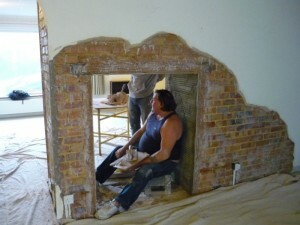 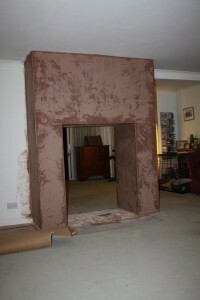 First of all, building work had to take place for four days to create the open sided fireplace. 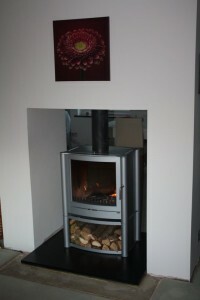 Consequently, the installation of the Firebelly FB2 double sided stove with additional log box took one day. 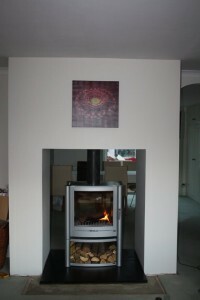 The Billington Partnership coordinated all the necessary elements of the installation. 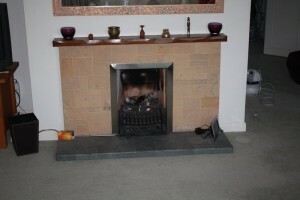 The final result pleased the client and the fact that the stove was installed before Christmas! 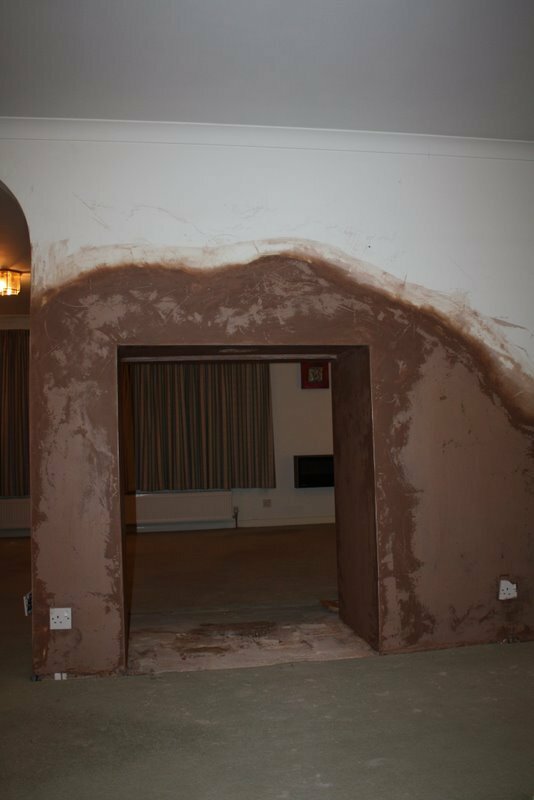 The images show a clear step by step process of the installation and how the room became totally transformed. 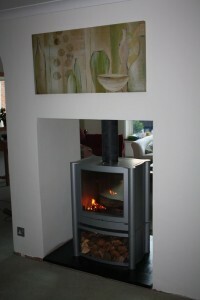 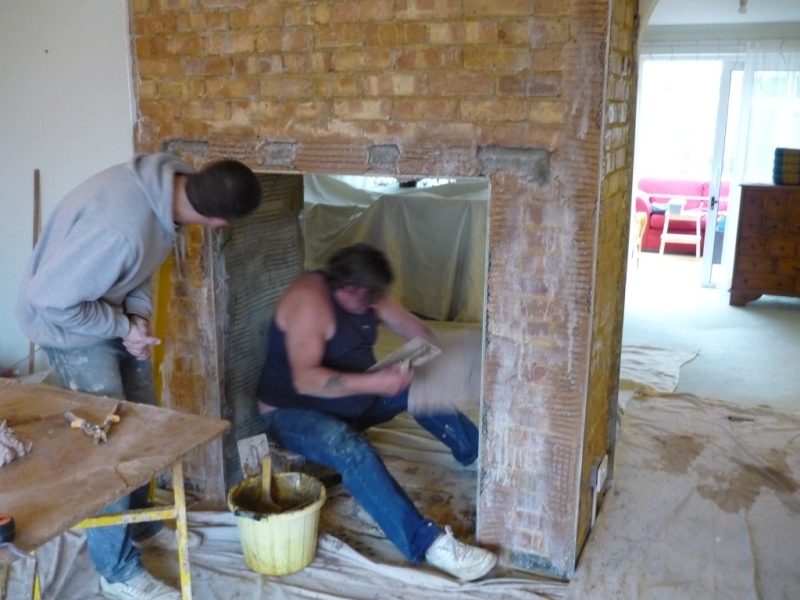 View another Firebelly Stove installation by The Billington Partnership.